Garden in progress, the stone retaining wall on the left defines the space and will provide an opportunity to include cascading plants in this garden area. 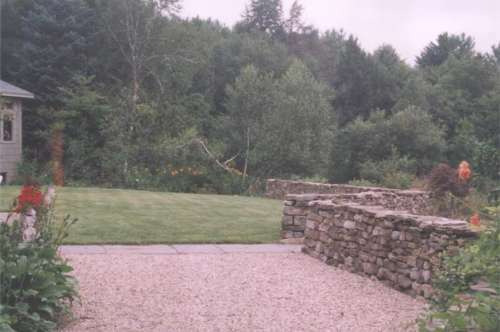 On the right, a freestanding drystone wall keeps the wildflower meadow at bay and defines the parameters of the front lawn area. 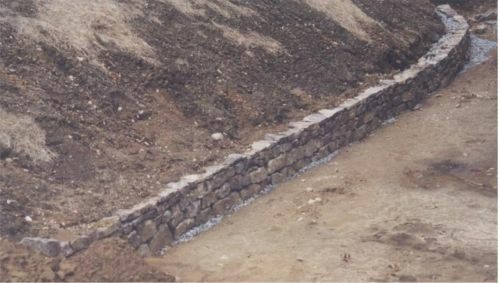 The bluestone path provides a link to a bluestone patio and creates a clean edge for the broad pea gravel paths.